Racer nation loses a treasure as Bennie Purcell dies early Friday. Neal’s thoughts. Then, a recap of the Racer win over SIUe and your updated OVC Standings. 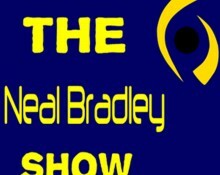 After a sports update and Murray State vs SIUe preview, the Paducah Sun’s Ed Marlowe drops to talk First Region basketball, Racer basketball, and the Super Bowl. Recap of the Racer loss to Austin Peay and a look at the current OVC standings. A recap of the Racer win over SEMO with post-game radio audio from Matt McMahon and Jeffery Moss. Plus, a recap of Thursday’s OVC games, updated standings, and a preview of Saturday’s action. Wednesday was National Signing Day for football. Here is the audio from Mitch Stewart’s press conference about his 29-member signing class. Following a sports update, The Paducah Sun’s Ed Marlowe talks from the War Room at Stewart Stadium about Racer football, Racer basketball, and Murray High’s special weekend in Frankfort.